Not looking to sell your business? Click here for businesses for sale. Everything you need to know about selling your business. The skills of the trade have been mastered and refined by our Verified Businesses team over the years. plan the sale of your business, including: 1. 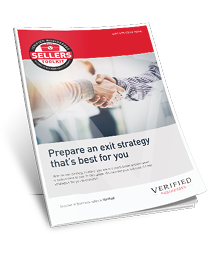 Our guide to establishing an exit strategy thats right for you. 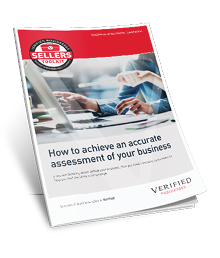 ensure you achieve the best possible appraisal of your business and ultimately the best sale price. With an exit strategy in place, you are in a much better position when it comes time to sell. Discover the pros and cons of 6 exit strategies to consider. The earlier you start to prepare for an eventual sale, the smoother and faster the actual selling process will become when you are ready. What buyers actually look for when buying a business. Understanding what elements of your business you need to be clear about. Why it’s important to have your responses and answers clearly thought out beforehand. Why it’s important that you are aware of your roll in the sales process, and how you can help facilitate a successful exit from the business. Includes written report. Valued at $220 - NOW FREE. Looking for more information before deciding to sell your business? Ask the experts! At Verified Businesses, we are offering free 1 hour business appraisals. Find all the answers to your business sales questions and more. We realise that not every small business owner can be out client, but they probably should be! Contact our team today. 01 We start with a full assessment of your business, which involves a thorough and in-depth analysis of all aspects of the business. 02 Provide you with a 'selling range' for your business and discuss your expectations of sale price. 03 Recommend an asking price and a marketing strategy, in order to achieve a sale at a premium price point. 04 Sign an 'Authority to Sell' agreement which authorises us to act as your business broker. 05 Prepare all the necessary documentation, complete with all the details that a buyer will require. 06 We list your business on 10 business sales sites along with our own top rating website. 07 We search our extensive database for potential buyers and make email contact with likely prospects. 08 Before we provide any information on your business, we require all potential buyers to sign a binding Confidentiality Agreement. 09 Carefully qualify and screen all buyers to make sure they have the financial ability to purchase the business. We arrange a meeting with the buyer and our finance broker if required, and keep you informed about all potential buyers so you know exactly how the sales process is progressing. 10 Arrange inspections with the buyer at your premises with you attending. This is a crucial stage of the sale process and will reveal any concerns or objections that the buyer may have. 11 Liaise with the buyer's accountant and solicitor. 12 We prepare the buyers written offer to purchase in the form of a Business Sale Contract, which is signed by the buyers and includes the deposit. 13 We present you with the contract and together we assess all the aspects of the terms and conditions, and then, you either accept, reject or make a counter-offer. 14 Once agreement is reached on all terms and conditions of the contract, it then becomes binding and your business is well on the way to being sold! 15 Co-ordinate with the buyer, the accountants and solicitors to facilitate the process that ensures that the contract becomes unconditional by the due date. We keep you informed all the way through this crucial part of the sale. Providing everything goes to plan and the sale progresses to final settlement, you receive payment for a successful sale, and Congratulations. 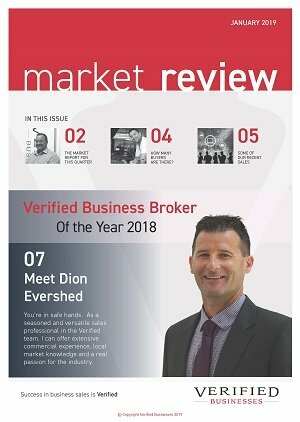 When working with Verified Businesses, you have peace of mind knowing you’re supported by a team of professional negotiators. We’re at your side when it counts most! To find out more call us today on 07 5479 5588 to discuss your individual requirements in more detail. When you are selling your business, you can quite often be surprised at the diverse range of people who express an interest in buying your company. These can include past and current employees, competitors, suppliers, customers, investor groups, and even people who have no experience whatsoever in running a business! One thing that is certainly not surprising, is that buyers in the market can often be very fussy when it comes to selecting their new venture from the field. A combination of huge expectations and choices on offer add fuel to a buyer’s decision-making process. Read more about What do Buyers Expect from You as a Seller? There are many reasons a business owner may want to determine the value or likely-selling range of their business. Knowing what your business’ likely selling range is, is necessary when you are looking to buy, sell, or sell a share in a business. Or even when obtaining a business loan, looking to attract investors, or estimating the value of your own net worth. 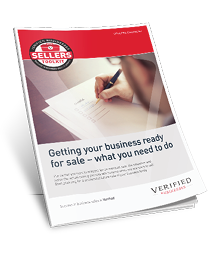 Read more about Understanding the Likely Selling Range of your Business.